The new year is starting out well. Instead of sitting inside, we decided to spend the afternoon out of doors. Near Kaltenbronn, Black Forest, brother-in-law took us with sister and friend. Das neue Jahr fängt richtig tu an. Anstatt in der Bude zu hocken, haben wir uns entschlossen, den Nachmittag draußen zu verbringen. In die Nähe von Kaltenbronn im Schwarzwald hat Schwager uns verfrachtet, samt Schwester und Freundin. It was cold. Yes. But oh so worth it. 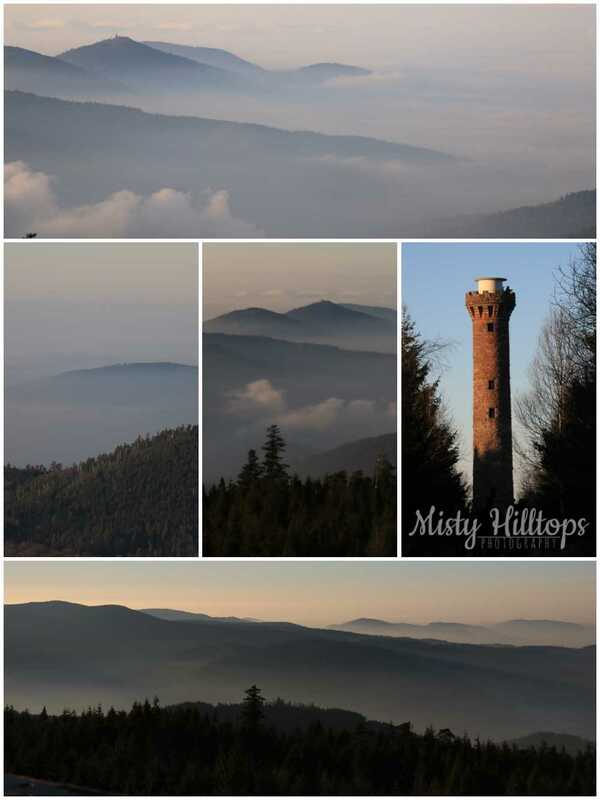 First, we climbed the many stairs up the Hohloh Tower, from where we had the most gorgeous view over the Black Forest. We could even make out the Alps in the far distance, though the Rhine Valley was still shrouded in fog. Kalt wars. Ja. Aber einen Ausflug absolut wert. Erstmal ging es hoch hinaus auf den Hohlohturm, von wo wir eine tolle Sicht auf den Schwarzwald hatten. Wir konnten sogar ein bisschen die Alpen in weiter Ferne erkennen. Aber das Rheintal war ganz in dichten Nebel gehüllt. 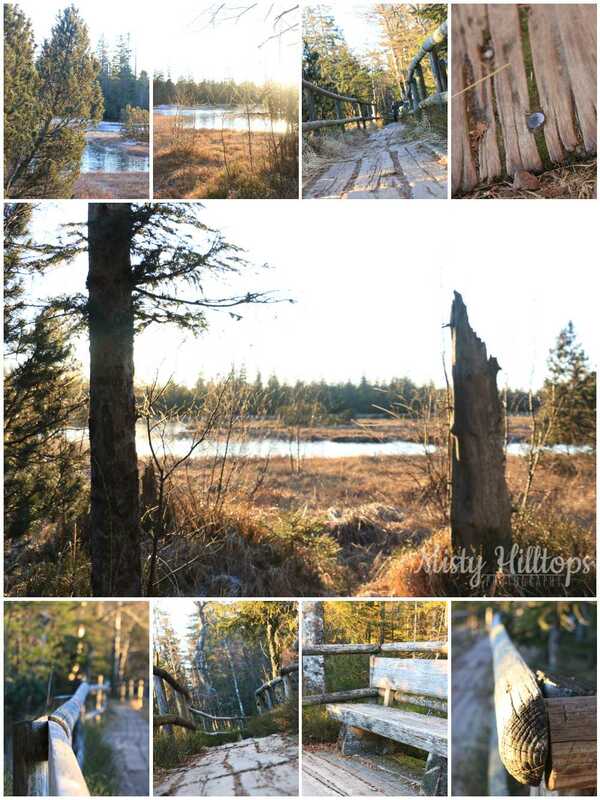 Afterward, we followed the trail into the swamp, where we enjoyed the setting sun that warmed our faces. Danach folgten wir dem Pfad ins Moor, wo wir einen herrlichen Sonnenuntergang genießen durften.